When the topic of Thanksgiving came up in my home, flashbacks of last year overcame me. Suddenly I was transported back in time to a chilly November morning, I rushed around stirring, measuring ingredients, setting timers and chasing a 3 year old out of the kitchen. We had a newborn baby that was fussy on that day. But, I am a Mom! I can handle this! No biggie... right? Right? Well, I had it under control until I burnt the pies and then caught a strange sound coming from our laundry room. The washer had malfunctioned, smoke and water were pouring out of the machine... This Mama sat down and cried. I cried over the washer needing replaced, I cried over the dinner I was ruining. I cried a great hormonal cry. This year, I have wised up! I am not even going to try to cook for my crowd, why would I when there is a magical place on Sawmill Road in Columbus, Ohio that is ready to come to my rescue? 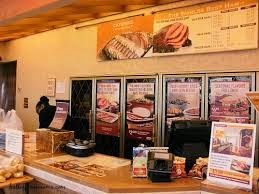 To Honey Baked Ham I ran! 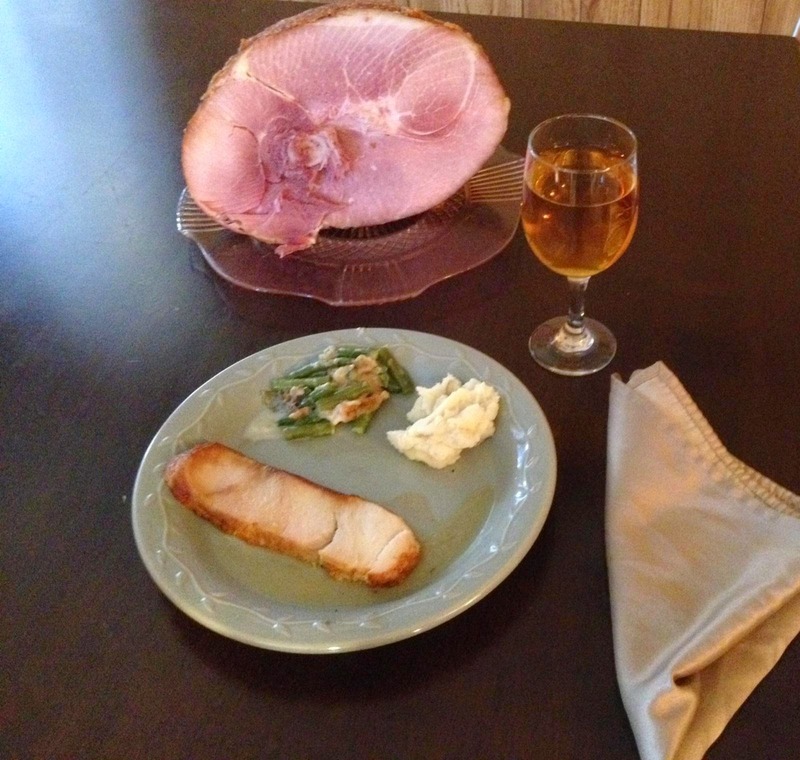 Honey Baked Ham has the best ham, so moist and delicious it literally falls apart under your fork and melts in your mouth. The turkey breast? Oh my goodness. One word only addicting! Did you know you can also get super easy to serve sides, gravy and pie to complete your meal too? Now why in the world would anyone want to cook for their family? 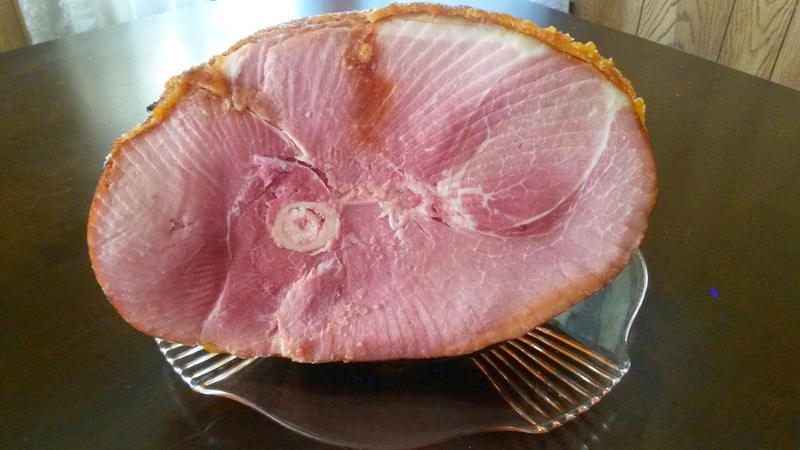 Honey Baked Ham is more than happy to do the cooking and let you enjoy the smiles, the oohs and ahhs and the moment of family time in general. My family loved the Green Bean Casserole, My daughter loved the turkey, the mashed potatoes, the pie and the cheesecake sampler we picked up. 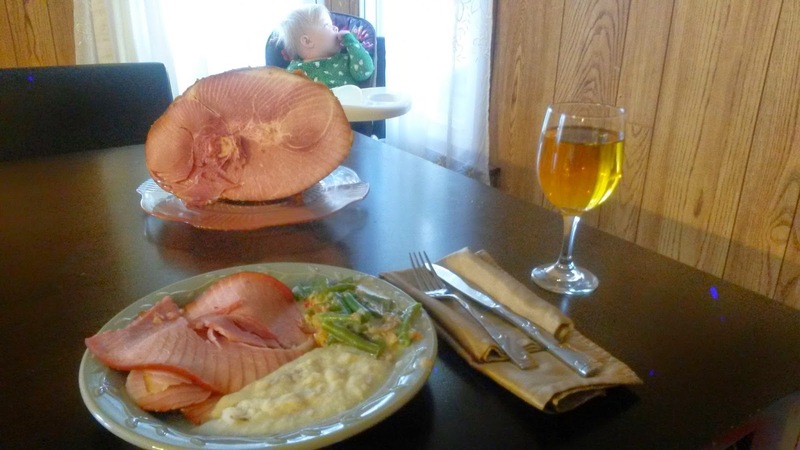 My son was over the moon for the ham. He is 4 and he is fascinated by Giants... He told me "Mommy, this giant bacon is yummy!!"